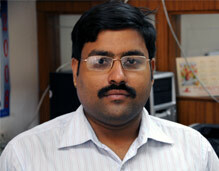 Dr. Prashant Kumar Singh follows the strategic and domestic affairs of China. He is also a keen follower of state and society in Taiwan. And he has a deep interest in India's engagement with East Asia.His current research project is “Foreign Relations and Security in Xi Jinping’s Chinese Dream”. Dr. Singh joined the IDSA in 2009. He obtained his PhD and MPhil degrees in 2009 and 2004, respectively, from the Centre for East Asian Studies (CEAS), School of International Studies (SIS), Jawaharlal Nehru University (JNU), New Delhi. He is a recipient of the prestigious CCS Grant for Foreign Scholars (2016) by National Central Library (Taiwan), Taiwan Fellowship (2014) and National Huayu Enrichment Scholarship, Taiwan (2011-12). Dr. Singh has been invited to speak at renowned institutes including Chung-Hua Institution for Economic Research (CIER), National Central Library (NCL), National Chengchi University (NCCU), National Chung Hsing University (NCHU), Council of Advanced Policy Studies (CAPS), Taiwan Think Tank and Tamkang University [all in Taiwan]; China Institute of International Studies (CIIS) in China, Asia Centre in France, and Ho Chi Minh National Academy of Politics and Thai Nguyen University in Vietnam. He has High School/Intermediate-level of fluency in Mandarin Chinese.